Tata’s first ever performance oriented models are coming our way soon. Here’s everything you need to know about them. The 26th of October marks a big step for Tata as it gears up to launch its first-ever performance-oriented models. Badged as JTP versions, Tata will be selling performance models of its Tiago hatchback and Tigor compact sedan. 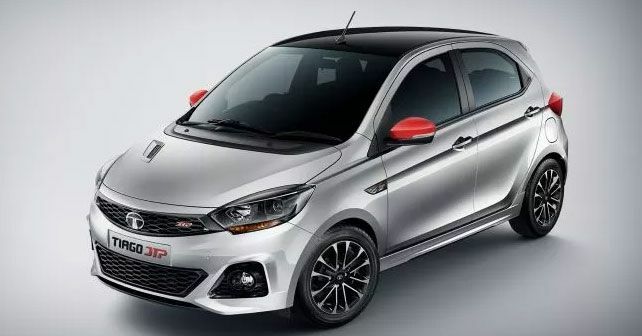 The biggest change for these Tiago and Tigor JTP models will be in terms of a heart transplant that will see the 83bhp 1.2 litre, three cylinder, naturally aspirated petrol engine being upgraded by its turbocharged version that is good for 108bhp of max power. The engine incidentally is borrowed from Tata’s Nexon compact SUV and is essentially a plug and play module for Tata. But in fact, it is a little more than that. For the Nexon comes with a six-speed manual transmission, whereas the Tiago and Tigor JTP are rumoured to be offered with the five-speed manual transmission from the standard models. Of course, the gear ratios will have to be altered for the new engine and in doing so, they might be tuned for better access to power. All of this combined should give both these JTP compact cars, decent real-world performance as they will gain a significant amount in terms of their power to weight ratios. Just to give you some context here, a standard top of the line Tiago weighs 1,012kg in terms of kerb weight while the Nexon petrol weighs in at 1,237kg. Although, we will reserve our judgement until we drive these cars and judge them on their actual usable performance. To complement the added horsepower, JTP has given both these cars reworked intake and exhaust systems. So, we will have to wait and see what the final output figures for these cars are. The mechanical updates for the JTP models don’t end there for both the Tiago and Tigor will get stiffer springs to keep with the theme of performance. And to ensure the cars handle the way they should, they will feature a lower ride height as well for better centre of gravity. And helping put all the added power on the road will be wider 185/65 R15 section tyres. To justify the added firepower of these cars, both JTP models with come with cosmetic enhancements in the form of more aggressively styled bumpers, red accent inserts all over the car, a bonnet vent, twin tailpipe design, smoked headlamps, new alloy wheels, black wrapped roof and rear spoiler, red ORVM casings and JTP badging. Following the launch of the cars on the 26th we will also be driving them. So, stay tuned for prices and reviews for the Tata Tiago JTP and Tigor JTP.